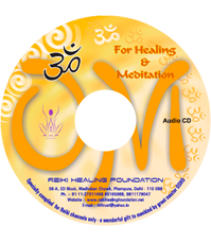 About : A most powerful dynamic meditation developed by Osho to detoxify all your suppressed emotional blockages to heal all physical and mental disorders. 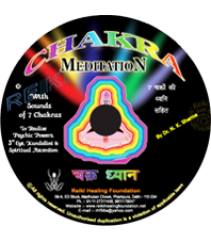 About : The most powerful chakra sounds to develop all your psychic senses, activate kundalini power and merge with ultimate. About : All in one meditation to develop magnificent personality, psychic senses and realize self. Attract finances and heal all life problems. About : The universal sound to energize body, mind and soul. Connect oneself with the source. About : 24 parts Reiki healing for self and others a guided meditation with music. About : Know why disease is impossible, Dr. N.K. Sharma explode the real cause of all human diseases and its cure. About : A hypno Reiki technique to induce a deep relaxation, visualization and programming subconscious mind to heal all diseases affectively and successfully. About : Root cause of all your sufferings is within you, you have developed your own petrol tanks. Realize these tanks than outside ignition will have no value at all.